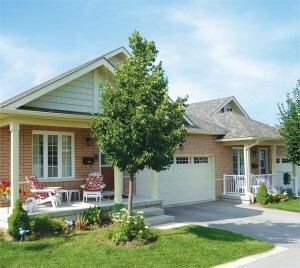 It’s not easy helping your parents find the perfect retirement community that best suits them, but if they’re interested in a quiet, serene neighbourhood removed from the hustle and bustle of city life, The Meadows in Peterborough, is certainly a community to check out. Aside from its idyllic surroundings, The Meadows also offers an inviting, communal atmosphere where retirees will never have to worry about their social lives slowing down. With unique social events planned by a committee and a newsletter that informs residents of the happenings, your parents will have a variety ongoing social activities and interaction in a safe village environment. This doesn’t sound like a tough sell, does it? And you haven’t even heard about the affordable pricing yet. Garden bungalows at the Parkview Homes development start from the $250,000s. Not too bad at all for features like a walk-out basement, a nice porch, backing onto green space, an upper and lower deck and monthly maintenance fees of less than $210. One might go as far as calling it “a steal”. More buzz on The Meadows is forthcoming. Stay with us! For more info email rphillips@parkviewhomes.ca or call 705 741 1004 to arrange a personal tour. Visit the website by clicking here!